Renault has introduced the MediaNav Evolution infotainment system in the Duster. This 7-inch touchscreen unit offers Apple CarPlay and Android Auto support - a first for Renault models in India. The 7-inch MediaNav Evolution doesn’t seem to offer GPS navigation, but most customers would probably prefer smartphone integration over that. The old Renault Duster was equipped with the 7-inch MediaNav touchscreen infotainment system featuring GPS navigation. The 7-inch MediaNav Evolution doesn’t seem to offer GPS navigation, but most customers would probably prefer smartphone integration. The new model is available in RxE, RxS and RxZ grades, and only the base grade doesn’t include a touchscreen infotainment system. The MediaNav Evolution infotainment system could soon find its way into the Renault Captur, which sits above the Renault Duster. 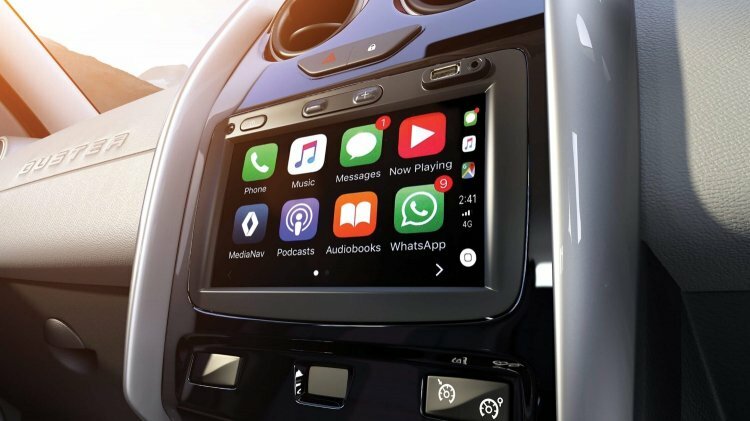 Reports say that the Renault Kwid and Lodgy also will feature a touchscreen infotainment system with Apple CarPlay and Android Auto support soon. It is safe to assume that the Renault RBC sub-4 metre MPV that will go on sale in the second half of this year will offer smartphone integration right from the beginning. 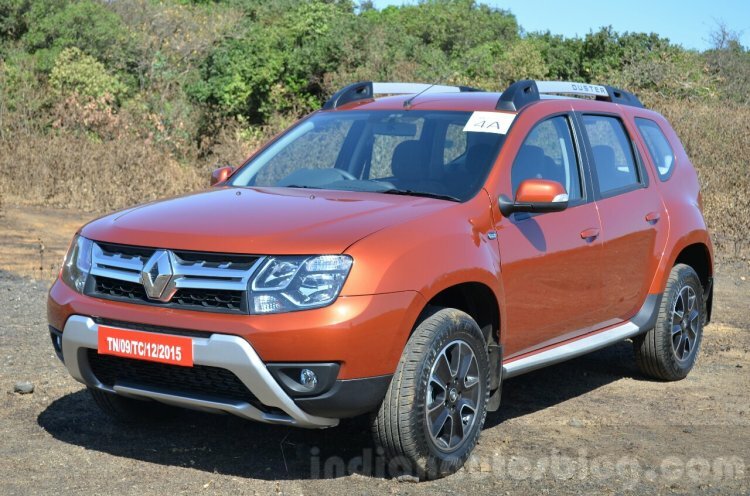 The Renault Duster is available with the 1.5-litre H4K petrol engine that produces 106 PS and 142 Nm of torque as well as the 1.5-litre dCi diesel engine in 85 PS/200 Nm and 110 PS/245 Nm versions. The petrol engine is paired with a 5-speed manual transmission or a CVT. The 85 PS diesel engine sends drive to the wheels via a 5-speed manual transmission. The 110 PS diesel engine is coupled to a 6-speed manual transmission or a 6-speed automated manual transmission. An AWD system is available, but only on selecting the 110 PS diesel engine and the 6-speed manual transmission. The Renault Duster is available in RxE, RxS and RxZ grades, and only the base grade doesn’t include a touchscreen infotainment system. The updated Renault Duster’s prices range from INR 7,99,900-13,09,900 (ex-showroom Delhi). The second generation model is said to reach the Indian shores later this year.